Is the New York Jets' Offensive Line Strong Enough to lead to a Successful Season? 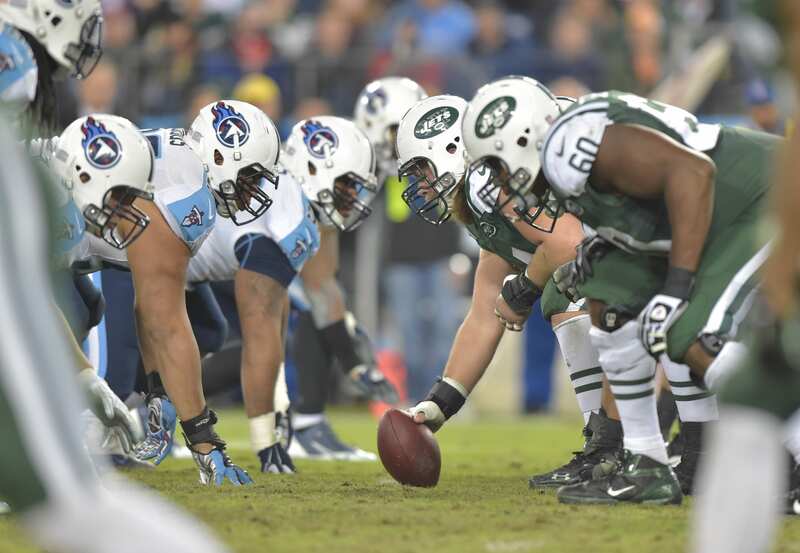 Home New York Jets Is the New York Jets’ Offensive Line Strong Enough to lead to a Successful Season? The past few years the New York Jets’ offensive line has not been pretty, especially the 2017 season which was said to have one of the worst units in Jets history. The Jets’ line was ranked second to last coming into 2018, which says a lot about the players that make up this group. How did the New York Jets’ line fair in 2017? Last season, the starting line allowed 47 total sacks which went for a total loss of 319 total yards, opposed to one of the Jets’ better seasons being the 2015 campaign. In 2015, while former veteran center Nick Mangold and veteran tackle Dbrickashaw Ferguson were still present, the o-line only allowed 22 sacks resulting for a loss of 113 total yards. Mangold and Ferguson were a great duo on the line together, causing the run and pass game for that season to be statistically superior. That’s a huge difference between the two seasons and the failure of the 2017 season is all due to a not so mediocre front five. Left tackle, Kelvin Beachum had a decent 2017 season, ranked 35th among all tackles and only allowing 4 sacks. Newly picked up center Spencer Long could be just who the Jets need to put forth a strong ground game and help protect rookie quarterback, Sam Darnold. Coming off a bad knee injury Spencer Long doesn’t have to play flawless, but just good enough to show he’s more fit for the job than preceding center Wesley Johnson. Starting running back Bilal Powell is going to have most of the time due to the departure of former running back Matt Forte, but Powell will not be able to play to his full potential because of his offensive line holding his talent back. Will the Jets’ line be able to protect Sam Darnold and give him some time in the backfield to work his magic? Maybe, but maybe not it all depends on how Darnold plays under pressure.